ROCHESTER, Minn. – June 21, 2018 – Associated Bank has appointed Justin Davis to Rochester community market president. 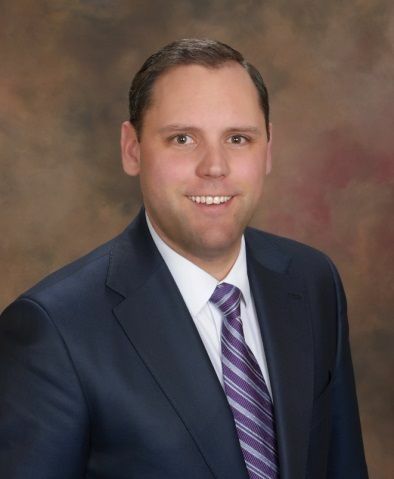 He is responsible for leading the Rochester and Red Wing teams in providing market-leading customer service and partnering with all Associated Bank colleagues to deliver the full capabilities of the company. Davis has been a commercial relationship manager with Associated Bank since 2016. Previously, he held the position of commercial relationship manager for US Bank in Rochester. Before that, he served in commercial roles with Stockman Bank and Rocky Mountain Bank in Montana. He has also worked in asset management in Boston, Massachusetts. Davis holds a Bachelor of Science degree in business marketing from Montana State University and a certificate in financial planning from Boston University. In the community, he serves as vice president of the Rochester Public Library Foundation Board and vice president of the local Service to Mankind (Sertoma) Club. He is located at 206 S. Broadway, Rochester. Associated Banc-Corp (NYSE: ASB) has total assets of $33 billion and is one of the top 50 publicly traded U.S. bank holding companies. Headquartered in Green Bay, Wisconsin, Associated is a leading Midwest banking franchise, offering a full range of financial products and services from more than 270 banking locations serving more than 110 communities throughout Wisconsin, Illinois and Minnesota, and commercial financial services in Indiana, Michigan, Missouri, Ohio and Texas. Associated Bank, N.A. is an Equal Housing Lender, Equal Opportunity Lender and Member FDIC. More information about Associated Banc-Corp is available at www.associatedbank.com.